A career driven person whose passion benefits the community. Jennifer Dunne is a proud South New Jersey native. Growing up in Moorestown, Ms. Dunne attended preschool through high school here, and the library was an essential and fun part of this education. Ms. Dunne never thought of becoming a librarian, however, she had an affinity for English literature. For this reason, she obtained an English degree with a Minor in Education wanting to become a high school English teacher. During her higher education, she understood that some of her ideas of teaching were too flexible for the existing structure of most schools. Consequently, her aspiration experienced a sudden pause, and she went to work for a government consultant until she found the right place that could embrace her ideas. Her job was to compile records for EPA Superfund sites and send them to public repositories in the affected communities, including public libraries. As she sent these records to the libraries, a new desire enchanted her imagination. After several months of visualizing, one of her friends mentioned that the Moorestown Library was looking for part-time help in their Children’s Department. She started working evenings and Saturdays, and quickly learned that she had found the right environment. Within two years she saved up enough money to resign from her jobs, and go back to Rutgers University for a Master’s in Library Science (MLS.) After graduation, to work for the Moorestown library was a career goal for Ms. Dunne. However, there were no positions available. Therefore, she interviewed with lots of different libraries within the state of New Jersey. At the time, Ms. Dunne could have worked for any of the libraries she interviewed in because she had the option to learn from experienced librarians and simultaneously refine her ideas. Accordingly, Ms. Dunne accepted a position in the Somerset County Library and worked there for five years at their headquarters and cycled through two different branches. This experience was a fantastic training ground as a children’s librarian. After five years she was fully equipped with the knowledge and field experience needed to keep perfecting her craft anywhere. Fortunately for Ms. Dunne, the position that she wanted to have at the Moorestown Library opened around the same time. As a result, in 2007 she accepted her current position at the Moorestown Library as the Principal Librarian for Children’s Services. As a librarian, Ms. Dunne loves to work with children, she believes that they are easier to entertain, and interactions with them are less complicated than adults. In addition, Ms. Dunne has great patience for children. She loves the playful world of children like toys, colorful clothes, silly jewelry and especially children’s books. Working with children is Ms. Dunne’s passion, in other words, it does not feel like a job. She is thankful that she can retreat into a world that is playful, peaceful and full of possibilities. An unplanned benefit of this career, is that through working with children she has created a path to cultivate strong relationships with the adults that love them. Other unplanned benefits of working as a librarian in Moorestown, is how visible the position would make Ms. Dunne throughout the community. If fact, it has opened lots of doors for her to do story telling at the Moorestown Community House, the Farmer’s Market, Family Circle Playgroup, local pre-schools and even birthday parties. Her passion has enabled her to become a very productive member of the Moorestown community. As a result, she has found immeasurable happiness through how she has been welcomed and embraced in so many different places. Moreover, Ms. Dunne is a person that has a tremendous amount of compassion for people. She has been involved in lots of different volunteer projects, primarily through church. She works with a local organization called The Waymakers. They send supplies, support sanitation, and education projects in Ghana. Also, she is a Stephen Minister, which is a trained person who develops relationships with people who need support during challenging times in their lives. Also she does publicity for her church’s monthly coffee house, Grounds for Good. She has been a blood donor since high school, and for the last seven years, she has been coordinating blood drives through church. Furthermore, she helps out in her daughter’s Sunday School class and in her kindergarten through Art Goes to School. Ms. Dunne is passionate about her work because children and learning are important, and her career is based on that. She believes that libraries are essential to these two things. Libraries are places where people can participate in education and entertaining their children. And what is amazing about these places is that everything is free, giving everyone access to books, movies, music, story times and performances. And because of these qualities, she also believes that libraries are very important to building a strong community. At the Moorestown Library, Ms. Dunne’s work provides plenty of satisfying moments on a weekly basis. Moreover, with older children, she loves recommending books and having them back and say how much they loved the book. Recently, she ran into a thirteen-year-old girl who grew up coming to the library. The girl was telling Ms. Dunne how busy she is at school and suddenly paused and said these words, “Miss Jen, no matter how busy I get, I always make time every night for a book.” Ms. Dunne was very proud of her because she is taking a habit that will probably last a lifetime with endless wonder, learning, and excitement. Knowing that this young girl’s habit is associated with her, nearly made Ms. Dunne cry. 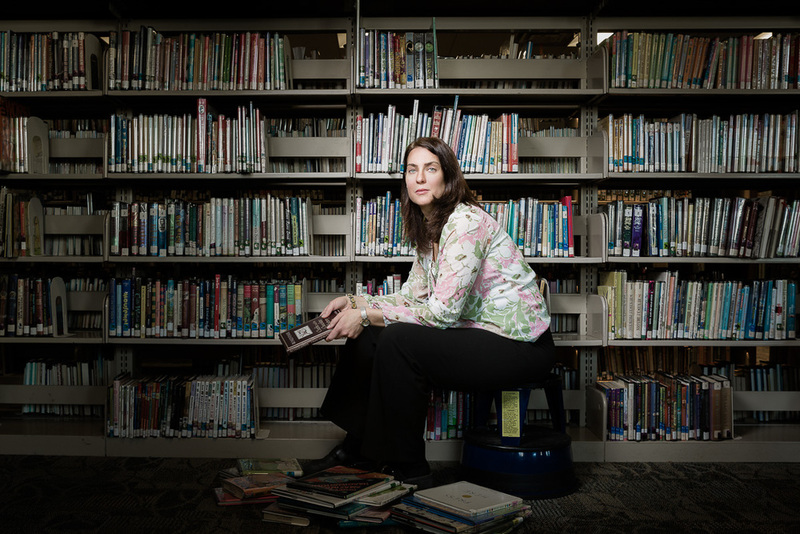 Ms. Dunne sees herself as the children’s librarian at the Moorestown Library for the rest of her working life. For her, this profession is sustainable because it never gets boring, and the variables are always changing: books, children, ideas, technology, and even the role of libraries. In fact, the profession has changed a lot since she first started, and according to her, that’s a relatively short time. Ms. Dunne see herself in Moorestown, and plans to live and work here for a very long time. She aspires to have a life like her mother’s, traveling, volunteering and spending lots of time relishing in the company of grandchildren. Ms. Dunne is currently working on a future where eventually her daughter will look back and feel that it was filled with magic, wonder and love. When she is gone, she wants her daughter to have great memories and see her as a role model just like Ms. Dunne remembers her father. 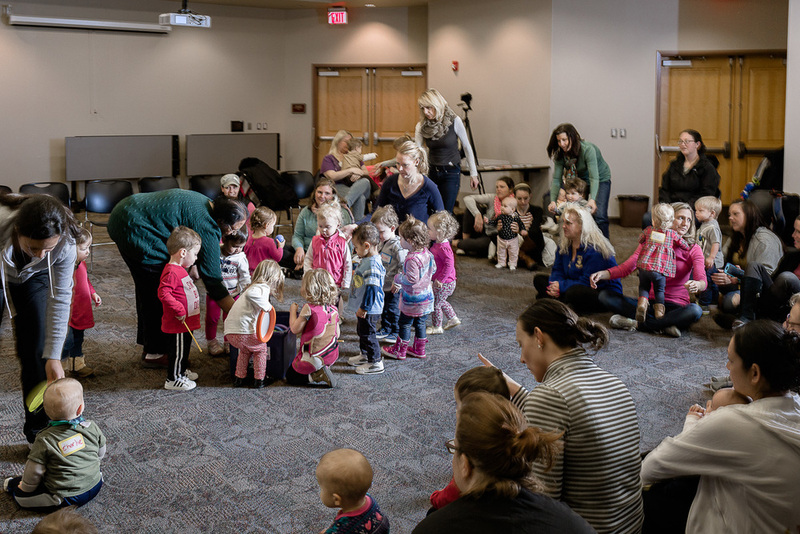 As a parent who participates in the Moorestown Library’s activities, Ms. Dunne’s existence has been very valuable in making our experience there, wonderful. She is a loving person who really cares and puts a tremendous effort in her work. She truly is an amazing person with children. My daughter, who now is 18 months of age, has learned many things with her since she was 9 months old. As a father seeing my child being part of a larger group learning, playing, flourishing and being happy is priceless. Thank you Ms. Dunne for being who you are, an individual who cares about people and takes pride in what you do.